Video #1 – The ball is dropped. 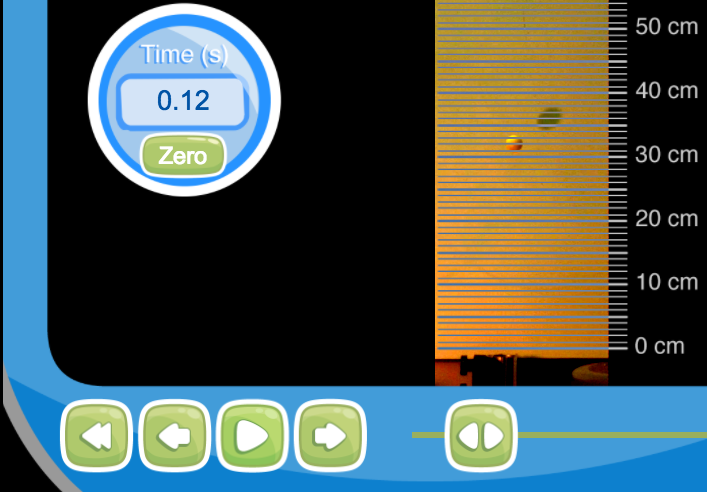 Video #2 – The ball is launched upward at a slower speed. Video #3 – The ball is launched upward at a faster speed. All three videos were shot at 100 frames per second.